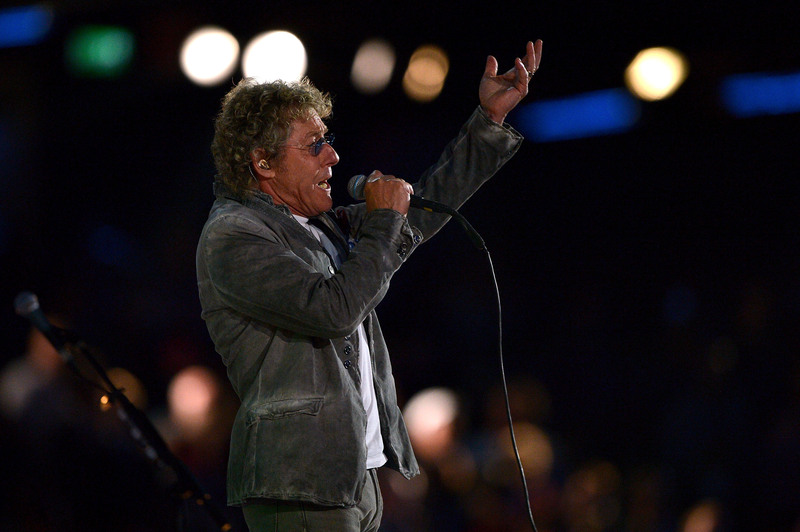 Did Roger Daltrey forget the lyrics to "Baba O'Riley"? (CBS/AP) LONDON - Was it a mistake or was it deliberate? That's the question music fans are asking today as they wonder whether The Who's Roger Daltrey blew the words to "Baba O'Riley." Some think he changed them just for the Olympics. The Who was the closing act at Sunday's Olympics farewell, which was as much a celebration of British pop music as it was a party for athletes. When it came to "Baba O'Riley," which is the theme song for "CSI: New York," there was a change. Instead of Pete Townshend singing "Don't cry, don't raise your eye, it's only teenage wasteland,'' Daltrey sang, "Don't cry, just raise your eye, there's more than teenage wasteland." Perhaps on purpose as well, Daltrey dropped the line, "Hope I die before I get old," from "My Generation." The group also sang "See Me, Feel Me." The Who performance capped a show that included Madness playing "Our House" while its sax player levitated, Pet Shop Boys performing "West End Girls," from two scrimshaws, One Direction singing "What Makes You Beautiful" from a flatbed truck, and Ray Davies of The Kinks singing "Waterloo Sunset," while Emeli Sande performed "Read All About It." Also performing on Sunday were George Michael, singing "Freedom" and his new song, "White Light"; Liam Gallagher's new band Beady Eye, which did "Wonderwall"; Muse, which sang "Survival"; Jessie J, who sang with Queen for "We Will Rock You"; and Take That performing "Rule the World." Some performers made unusual entrances. Kaiser Chiefs singer Ricky Wilson arrived on a motorcycle to perfortm "Pinball Wizard," and Annie Lennox arrived on a burned-out pirate ship to sing "Little Bird." Fatboy Slim spun out "Rockafeller Skank" from inside a giant translucent octopus. Jessie J sang "Price Tag," Tinie Tempeh sang "Written in the Stars" and Taio Cruz sang "Dynamite," all from convertibles, then joined to perform the Bee Gees' "You Should Be Dancing." TheSpice Girls, of course arrived in London cabs, which they later climbed atop to sang "Wannabe" and "Spice Up Your Life."